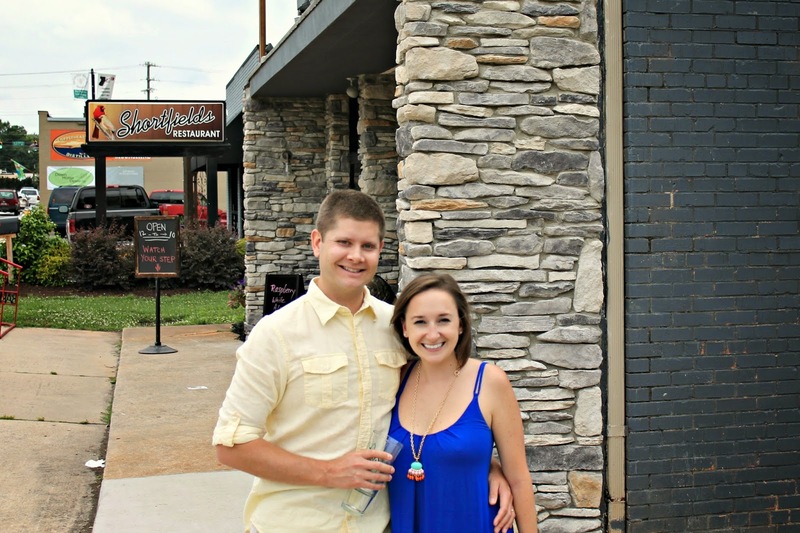 A few weeks ago, T and I tried out the Swamp Rabbit Brewery and Taproom with some friends. If you didn't already guess it, the brewery is located just off the Swamp Rabbit Trail in Travelers Rest. 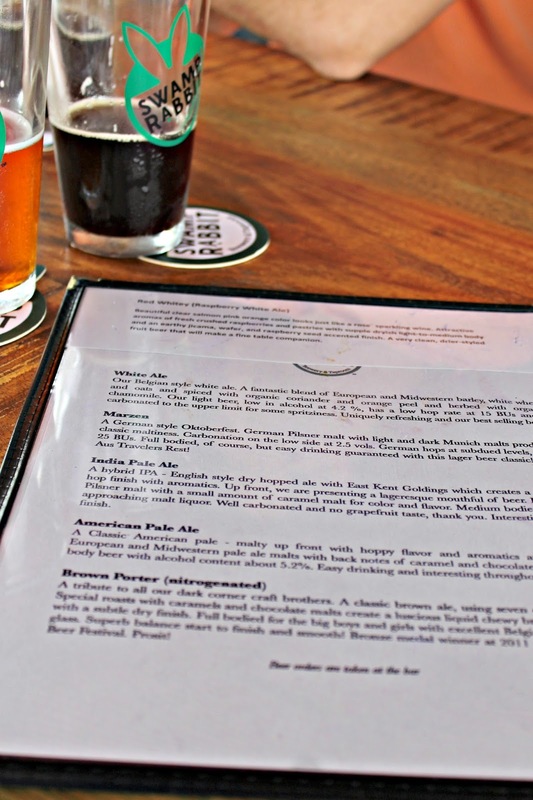 In the last couple of years, Greenville has had a major influx of breweries popping up. And now with the Stone Bill's passing, I bet we'll be seeing even more. The Swamp Rabbit Brewery had a wide selection of beers. Some beers for the beer snobs, loaded with hops and malt, and some beers for the light beer drinkers that were fruity and wheaty. I liked that they had a wide variety, something to please everyone. I've found that some of the other breweries don't offer such a wide variety, which can pose a problem when you're visiting with a large group. Since this was our first time, we opted for the pick 5 deal, where you pay around $12 and you get five fills of any beer that you'd like, plus you get to bring the souvenir pint glass home with you. They fill the glass up about half way, so its a pretty good deal for only 12 bucks, and let's be real- who doesn't love a souvenir glass. 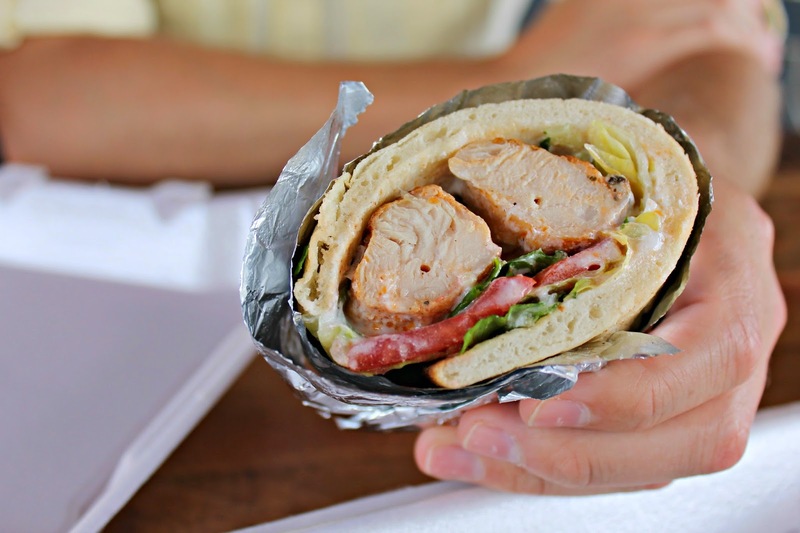 Up until a few weeks ago breweries in SC were not allowed to serve food, but now that the Stone Bill has passed, they can serve food within their establishments. The SRB&T is not serving food yet (and I'm not sure if they ever will), but they do have food trucks come and park in their lot. 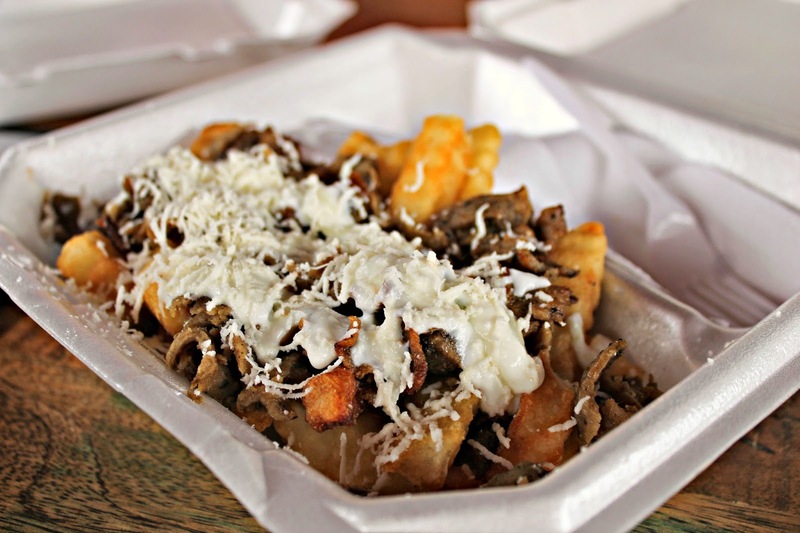 We got to try out a food truck that I've never had before, the Ellada Kouzina truck, a Greek food truck that's run by the owners of Never On Sunday. T and I shared the Chicken Souvlaki Pita and the Greek Fries (fries topped w/ gyro meat tzatziki sauce, and feta cheese) Both were very tasty and the portions were hefty. We brought our friends Kate and Jack with us who were visiting from Charleston. It was so great spending time with them, and the back porch of the brewery was a perfect place to catch up. The inside of the brewery is pretty large, and I think they've done a great job with utilizing the space. 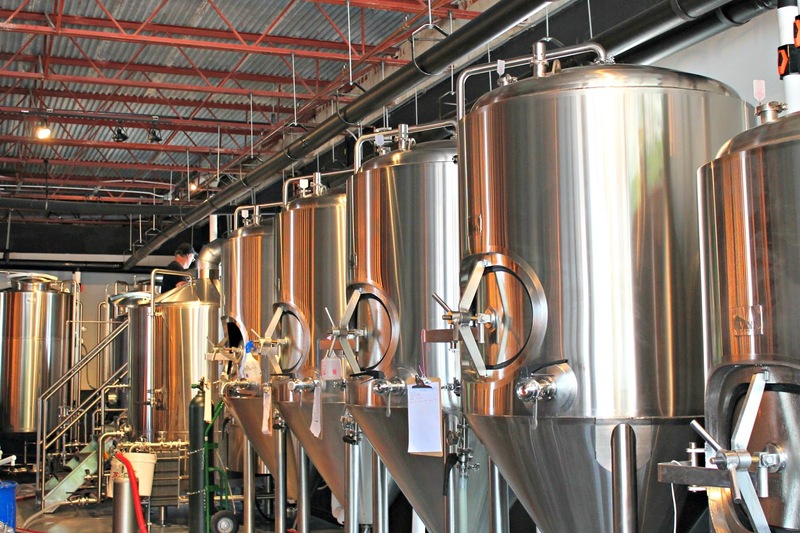 Like most breweries, they've got all of their large fermenters on display, which provide a perfect backdrop for the bar. They also have tons of seating inside and out; something that I haven't seen in most of the other upstate breweries. I think this lends itself to a perfect place to serve food as well. They have large community tables (very Hofbräuhaus of them), a good amount of bar seating, and a large outdoor patio with several tables. T, the beer snob, wasn't over the moon about their beer selections. He's a big IPA guy and the ones that they offered just weren't doing it for him. 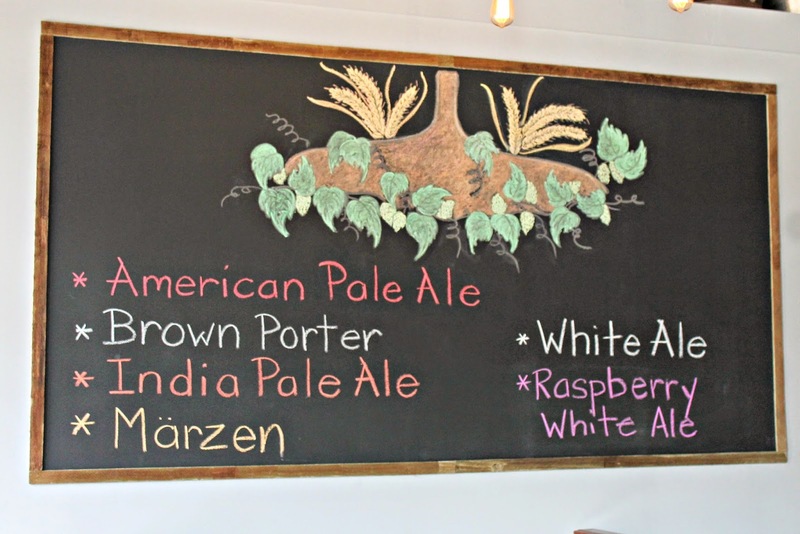 I, however, loved the White Ale, the Raspberry White Ale, and The Marzen. I thought all three were perfect summertime beers. We loved the space, and can't wait to return. We may even ride our bikes next time. 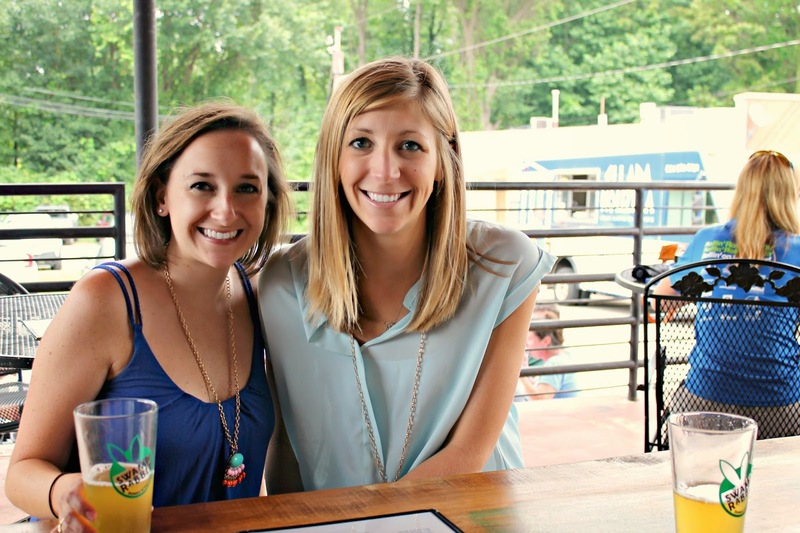 My cousin lives in that area & loves the Swamp Rabbit brewery - that seems like a great deal too!! We definitely have to try it! Love this- so fun! Wish we had more breweries around Wilmington! 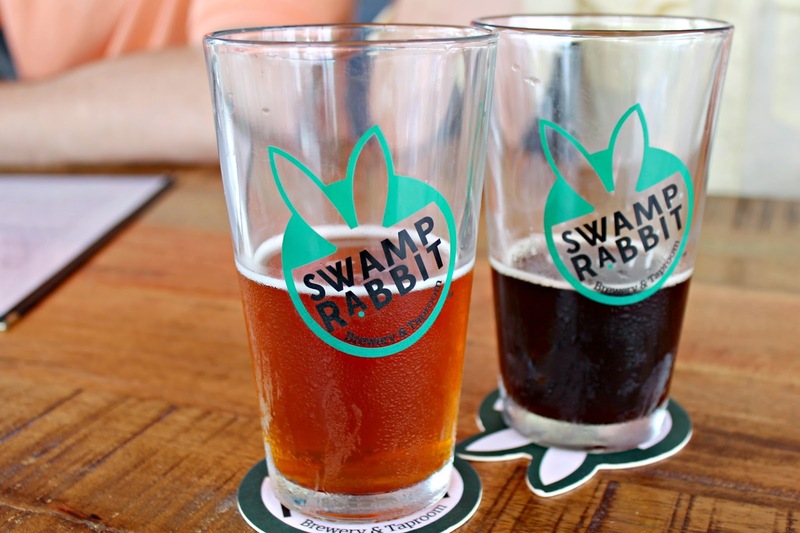 Swamp Rabbit is supposed to be coming to Columbia soon! Can't wait for when they do! !